I love making ice creams at home! It’s such a lot of fun!! The texture amazes me every time when I scoop out some ice cream!! 😁👌 Creamy and so smooth…it’s a delight! 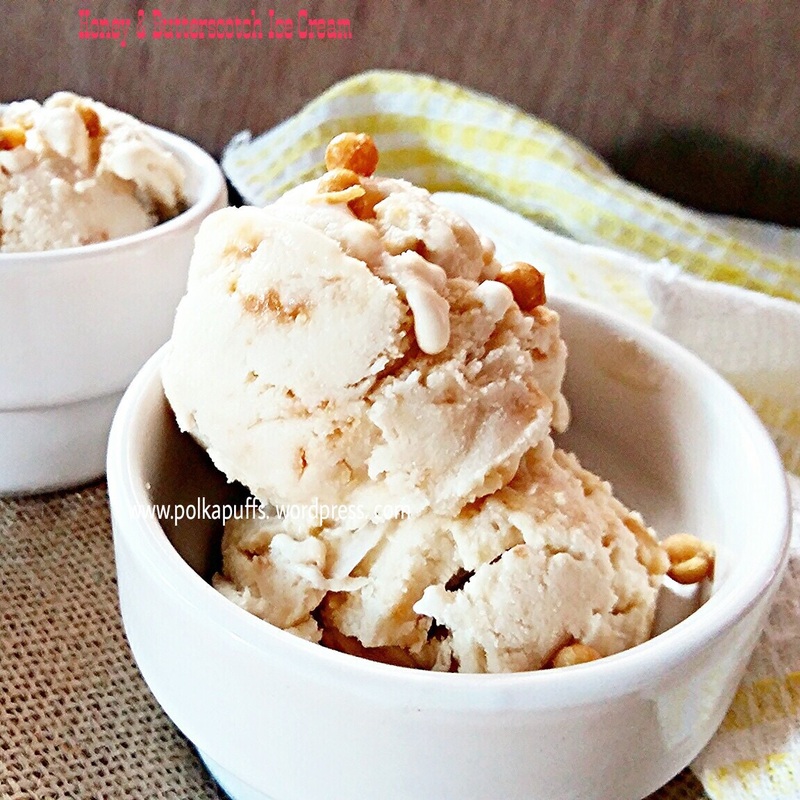 This ice cream just happened because my hubby simply loves honey with anything & everything, so while chomping on some store bought vanilla ice cream…he says “can you make an ice cream with honey? !” 😋 I was amazed! I was like….absolutely! I can…it sounds delicious. I will definitely do that…in combination with Butterscotch! Hence, my Honey & Butterscotch Ice Cream 👌☺️ and it obviously has to be eggless! 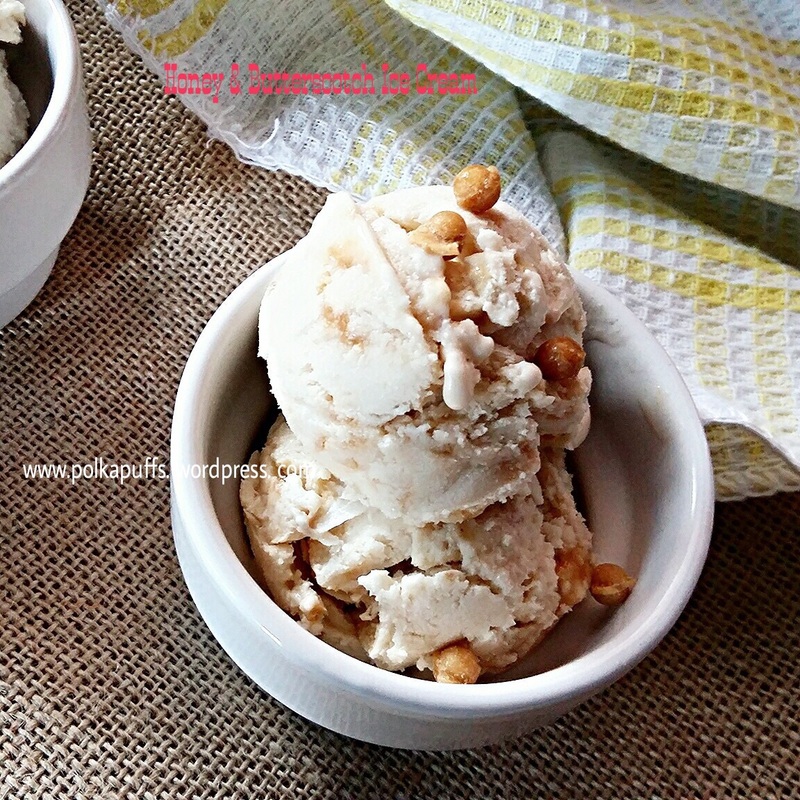 In the past, when I was experimenting with homemade ice creams, I had some help from here….you guys can have a look too. My recipe is adapted from it with some changes to suit our palate. You can say it’s pretty simplified…no fussing over it..no churning at all! Just look at the texture…just like the ones you buy at your favourite ice cream parlour! Equipment: a non stick pan, a whisk/ electric whisk, measuring cups/ spoons, a ladle, an airtight container to set the ice cream, a large mixing bowl.